Read more on the story of Tapanappa. Planted with Chardonnay in the Piccadilly Valley in 1979, The Tiers Vineyard is in every way a “distinguished site”. It is the first vineyard planted in the Adelaide Hills thus pioneering the true cool climate wine industry of South Australia. 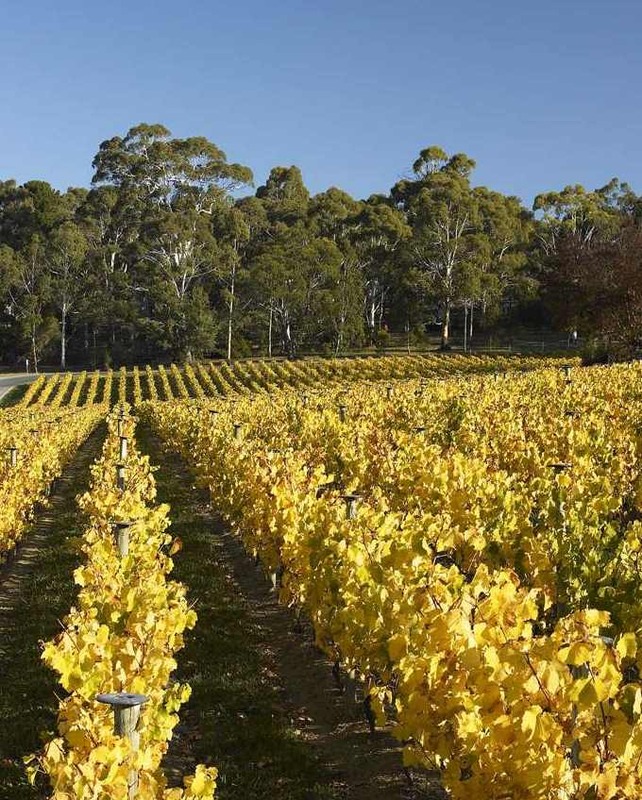 Planted with Pinot Noir on the Fleurieu Peninsula in 2003, the Foggy Hill Vineyard is on a northwestfacing slope at 300 to 350 metres (ASL) at Parawa, the highest point of the Fleurieu Peninsula half way between Victor Harbor and Cape Jervis. The very cool, humid and even Foggy Hill climate is ideal for encouraging the production of the exotic aromatic and ethereal qualities described as the peacock’s tail of Pinot Noir. 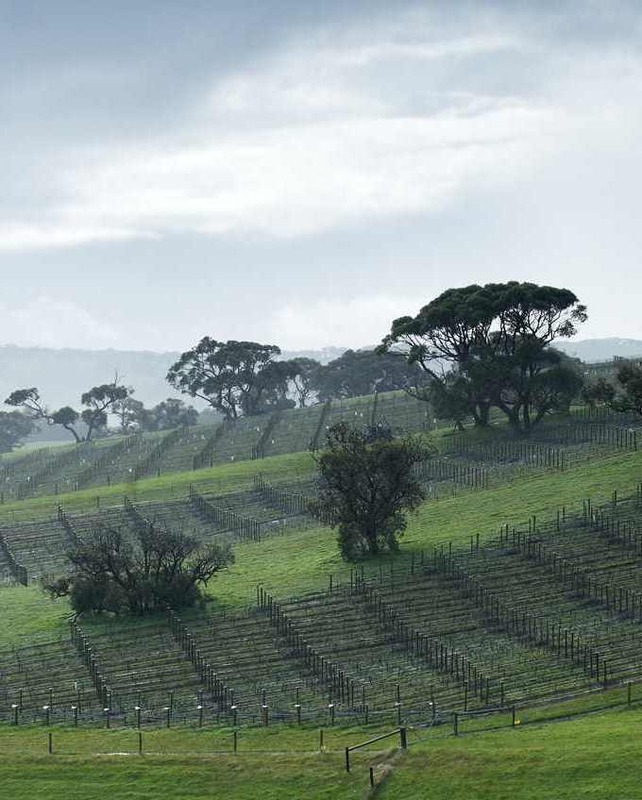 Foggy Hill Vineyard on Maylands Farm at Parawa on the Southern Fleurieu Peninsula has thus far delivered on its potential to be a truly “distinguished site” for Pinot Noir. Planted to the Cabernet varieties in Wrattonbully in 1974, the Whalebone Vineyard was named because of the discovery of a 35 million year old whale skeleton in a limestone cave beneath the vineyard. 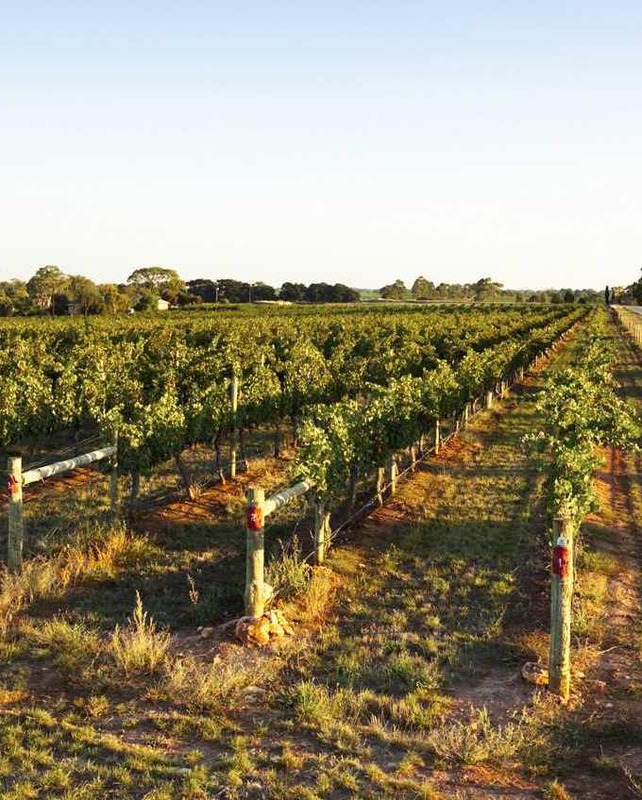 The Whalebone Vineyard was purchased at the formation of Tapanappa in 2002, and since its purchase it has been completely retrellised and renovated. The Whalebone Vineyard is a terroir uniquely suited to the varieties Cabernet Sauvignon, Merlot and Cabernet Franc.